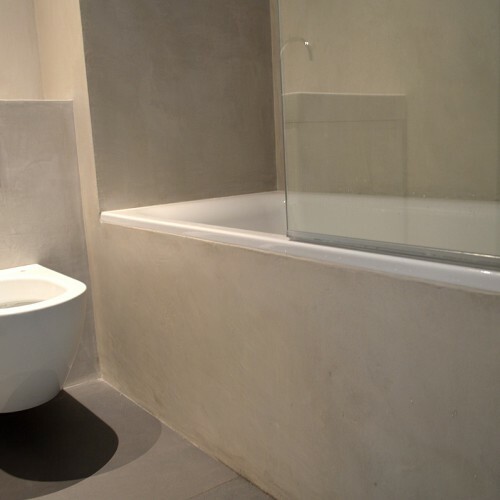 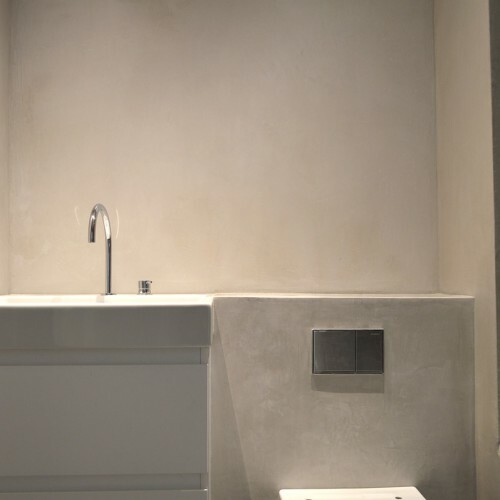 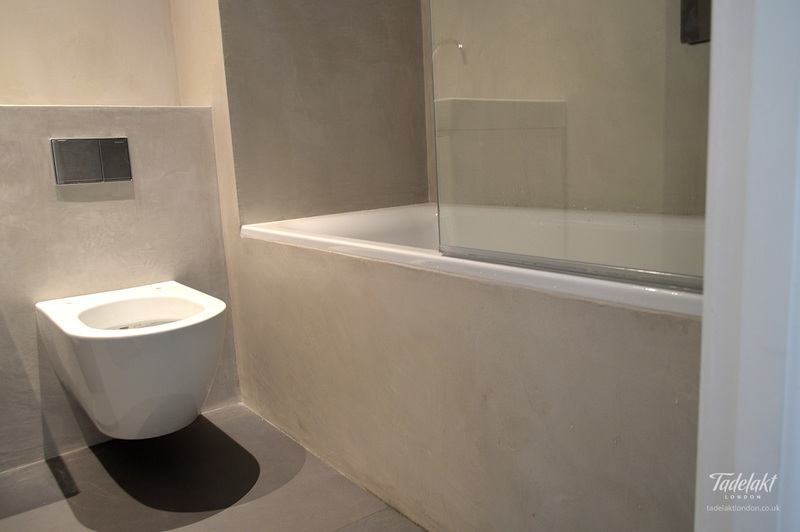 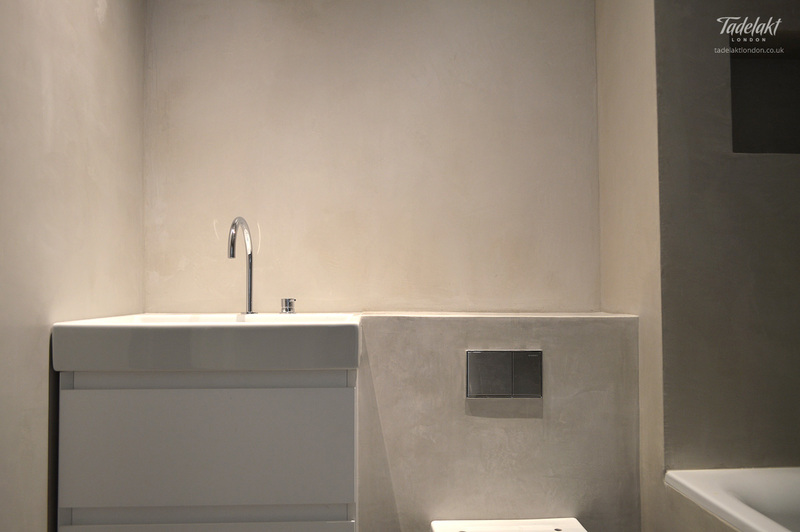 Long lasting, water resistant plaster finish is a sound choice for any bathroom or shower room. 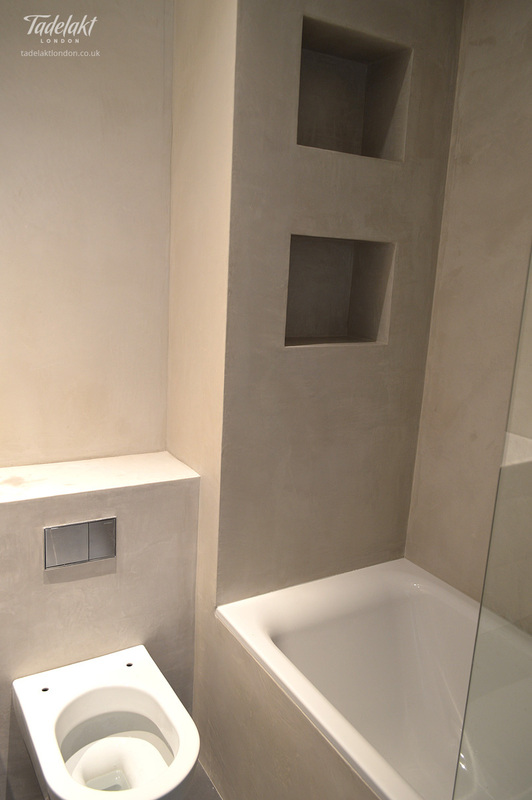 The custom shelving built into this tub surround provides much needed storage while maintaining the clean lines of the room. 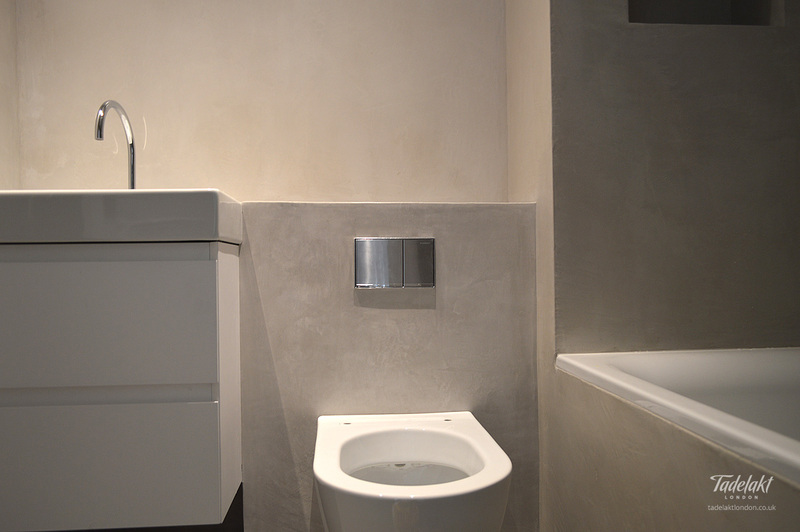 The colour chosen for this project was a light grey.